Branden Harvey was told to reconsider. Harvey was advised not to ignore the risks, acknowledge his inexperience, and consider the consequences of his newest idea. Most people would have listened, and opted instead for security, stability, influence, and profit. But Branden Harvey isn’t most people. “It’s crazy!” Harvey said, eyes bright with excitement and a good bit of rebellion. He’s right — it is crazy (and no, we’re not just talking about his hair). At the age of 25, Branden Harvey — a storyteller, photographer, community-builder, and world traveler — set aside an established career to follow the siren call of a dream. It was a choice that altered the course of Harvey’s career and his life. When I met with Harvey at his studio one Wednesday afternoon, a copy of the Goodnewspaper — Harvey’s dream — laid on the desk in front of us. Its pages were bright and bold, layered with the stories and designs of fellow dreamers who also believed that hope belonged in the headlines. As we talked about Harvey’s life, I sensed a similarity in Harvey's character and the paper: bright and bold, collaborative and hopeful. Growing up in Pullman, Washington, Harvey was a sunny, curious, and confident kid, bursting with ideas for adventures and projects he could do with his friends. After 9/11, Harvey recalled how he invited kids from school to start a lemonade stand to raise money for the Red Cross. “That’s something I’m a huge proponent of today — people using whatever their platform is, at the place in life that they are, with the resources they have, to make an impact in the lives of others,” he added. When Harvey was a sophomore in high school, he discovered a passion for photography and began to teach himself to resee the world through the lens of a camera. He connected with other photographers on Flickr and learned by taking risks and sharing his work. By the time high school graduation came, Harvey considered just staying in Pullman. His photography business was doing well, and why walk away when you’ve got a good thing going? However, Harvey could not quell his curiosity to explore what else was out there. Fall 2010, Harvey moved to Oregon to study Marketing at Portland State University. Portland was different from Pullman — loud, liberal, and packed with people. The city was Harvey’s campus, his playground, and his studio. And freshman year was all about starting over. While at PSU, Harvey began to share images from his life in the city on Instagram. “That was a nice time to discover Instagram because I didn’t have to have any connections or resources to figure it out. It opened up a lot opportunities.” By the next year, Harvey was shooting for small nonprofits and local brands in Portland. Not too much later, Sony, Timex and PetSmart called. Harvey’s skills were in high demand. Working with companies paid well, but as Harvey’s childhood proved, he always preferred projects he could do with his friends. He began to think of ways his photography could allow him to build deeper connections with others, both friends and strangers. Harvey turned to Instagram to share photos that accomplished that aspiration, and launched #storyportrait. Harvey's hashtag aimed to share the “incredible stories of the people in [his] life.” He hoped others would be inspired to do the same. #storyportrait amassed great attention, including but not limited to renowned photographers, non-profit organizations, and corporations recognized all over the world. He shot campaigns in this storytelling style for Disney, UNICEF, Square, Lyft, World Vision, charity: water, Skype, Southwest Airlines, and more before he even graduated from college. As more clients came calling, Harvey spent more time on planes than in lecture halls, travelling to photo shoots in India, Hong Kong, Washington, Uganda, Zimbabwe, Rwanda, Dubai, and all over the United States, including the inside of the White House. If photography taught Harvey to resee the world through the lens of a camera, then traveling taught him to reframe the shot. Just as connection caused Harvey reconsider how he saw photography, and it would be connection that would cause him in 2016 to reconsider how he saw everything. “2016 was the worst year of my life,” Harvey shared in an interview last spring. Harvey had seen more of his neighbor than ever before, and realized he could not return to living life the same way he had before. He knew he had to do something. Harvey took Mr. Rogers’ advice and started doing just that: looking for the helpers. His new daily routine included scouring the internet for news of good things happening in the world. It proved difficult. 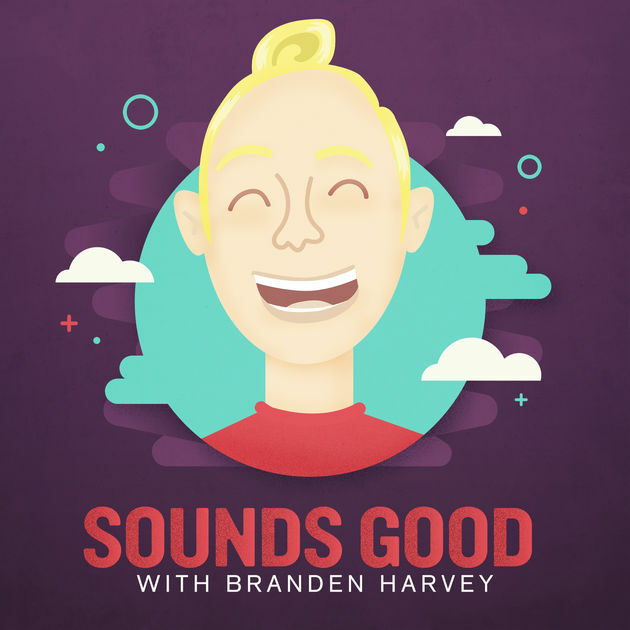 But when he was finished, Harvey bundled the good news he had found in a newsletter and sent out a email to anyone interested, with the subject: “The Branden Harvey Email Party.” This was the first edition of the Goodnewsletter. 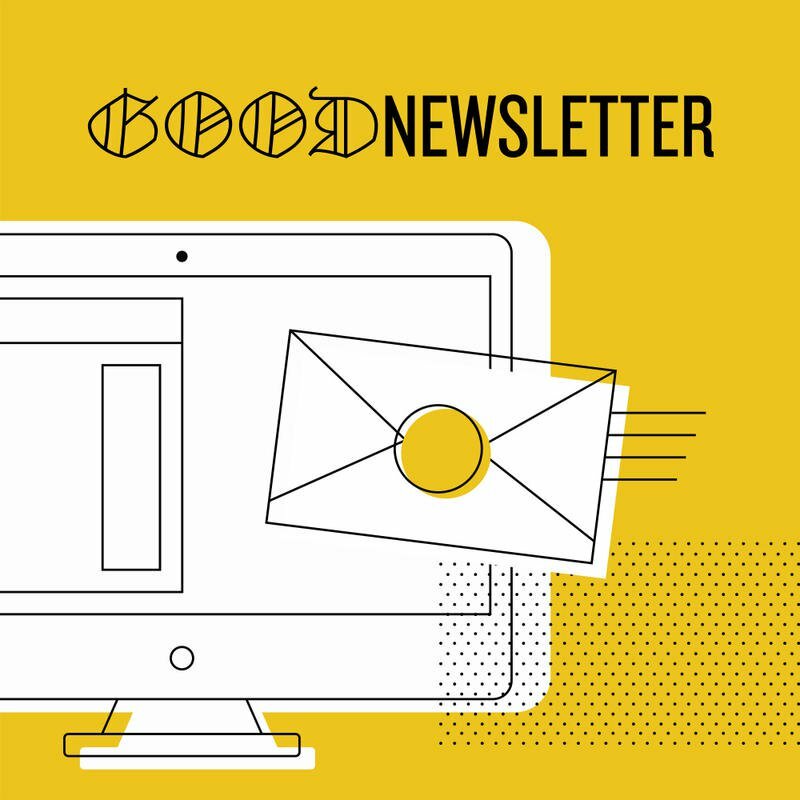 The Goodnewsletter became the first Good in Harvey’s company, Good Good Good, founded in 2017. 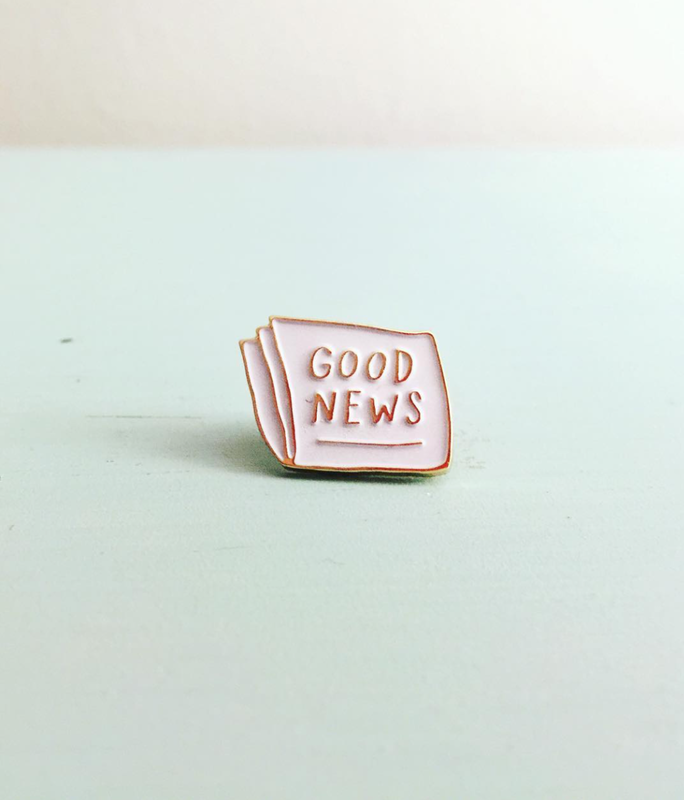 The Goodnewsletter was followed by Sounds Good, a podcast, which, finally, inspired the Goodnewspaper. When Harvey launched Sounds Good, he again wasn’t sure how long he’d be able to keep it up. 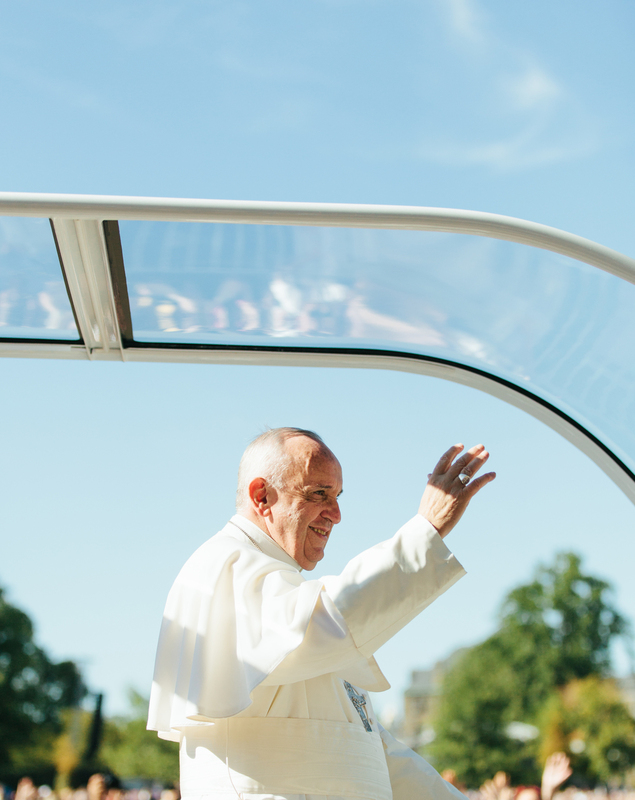 His initial guest list included only twelve people. He planned to produce several episodes featuring “the happiest people on the internet.” Turns out, the people on the internet had a different story to tell than the ones Harvey planned. Harvey has hosted over 60 guests ranging from Brad Montague, creator of Kid President, to Firuzeh Mahmoudi, founder of United for Iran, a nonprofit that works for human rights conditions and civil liberties in Iran. 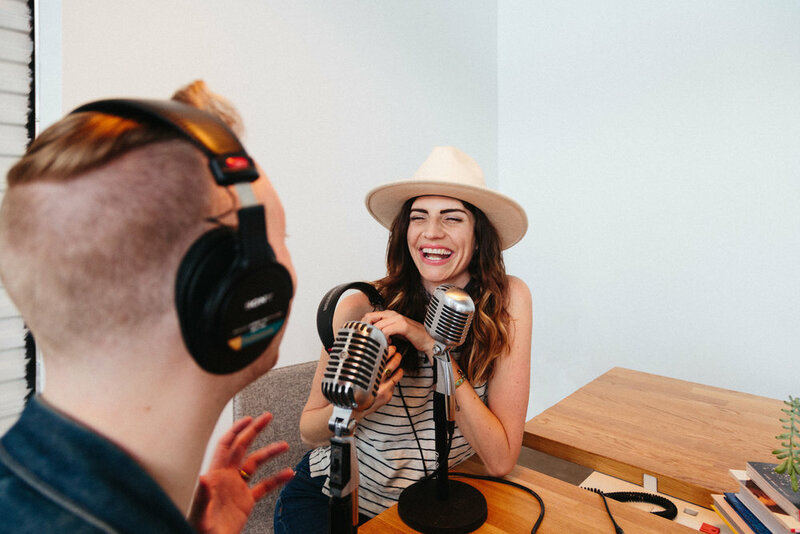 As a regular listener, the podcast has both inspired laughter and brought me to tears. While he hasn’t abandoned photography, Harvey now commits most of his time to the mission of Good Good Good. In particular, the Goodnewspaper demands the most of his attention. From the beginning, a huge amount of buzz has followed the Goodnewspaper. 52 hours after its Kickstarter debut, the paper achieved its project goal of $26,000, and by the campaign’s conclusion, $56,000 had been raised. Stories about Harvey and the Goodnewspaper were everywhere. One video, widely circulated on Facebook, attracted nearly 700,000 views, 6,000+ shares, and 500 comments. In the hours and days that followed, Harvey responded directly to hundreds of these comments. He wanted to show critics and fans that the Goodnewspaper, faithful to its ideals, would not run from bad news - it would engage with it. 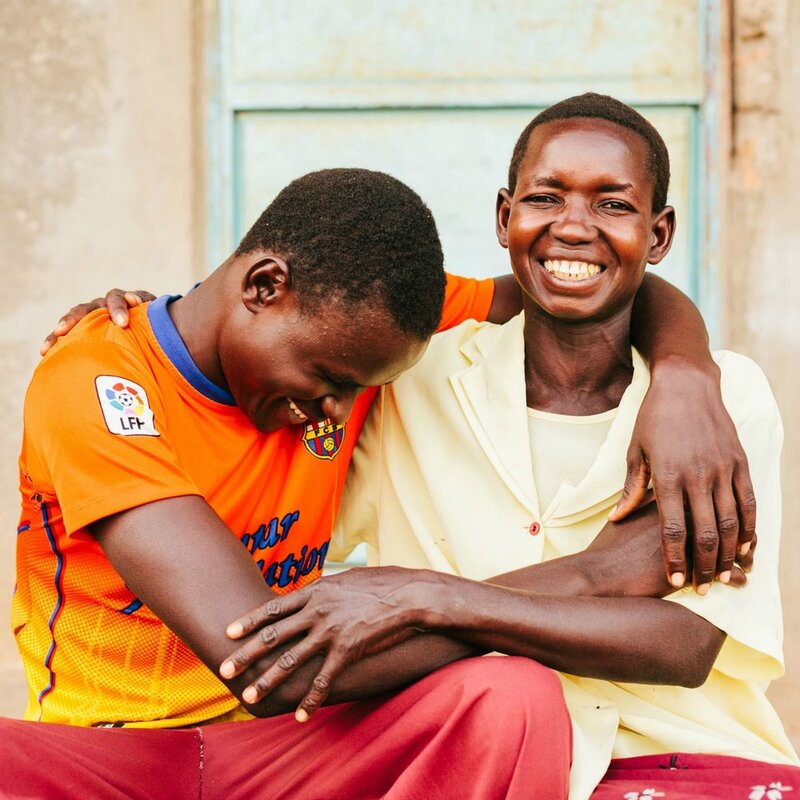 Within the newspaper, stories champion the work of individuals and groups that aim to eradicate injustice and bring hope to people and places not often represented by headlines. Each section presents readers with action steps that suggest ways they might become doers and helpers. Last year, Harvey took many of these action steps himself. He sent hundreds of faxes, voicing concern, to his state representatives. He used his platform to champion diverse voices above his own. He travelled to Egypt to meet with young difference makers from around the world to discuss issues facing society. He got uncomfortable. It sounds like Harvey has been given the help he needs to help others. At 1:30 AM on a cold January night, the third edition of the Goodnewspaper is stealing Branden Harvey’s sleep. There are decisions to be made, meetings to schedule, podcasts to record, emails to send, checklists to finish. Looking for the helpers is a full-time job, and a demanding one at that. Harvey knows that before he sends this paper to print, another bad news story will hit the presses. He can’t keep up, but he’s not trying to. He’s telling a different set of stories, writing headlines you won’t see elsewhere. As Harvey continues to do this work, I am learning from him. While he amplifies good for others to hear on his own platform, I am inspired to do the same from where I stand, too. Everyone can be a helper. Whoever we are, wherever we live, and whatever we do, the rhymes and melodies and drumming of hope beat on all around us — we just have to listen. Find Branden on Instagram or Twitter and join the Good Good Good community on Facebook or follow along on Instagram and Twitter for hopeful news, behind-the-scenes details, and more from the GGG team. Special thanks to Branden for his time and enthusiasm in participating in this interview.